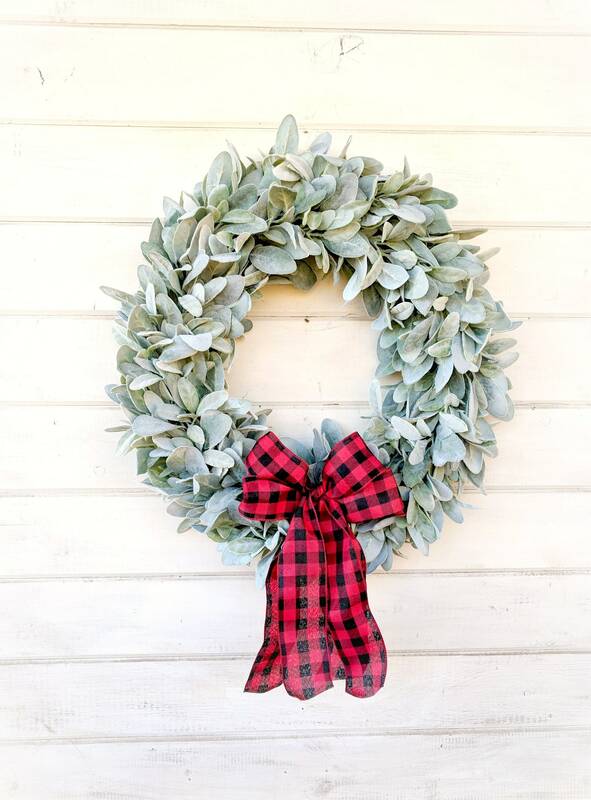 A Christmas Farmhouse Wreath!!! 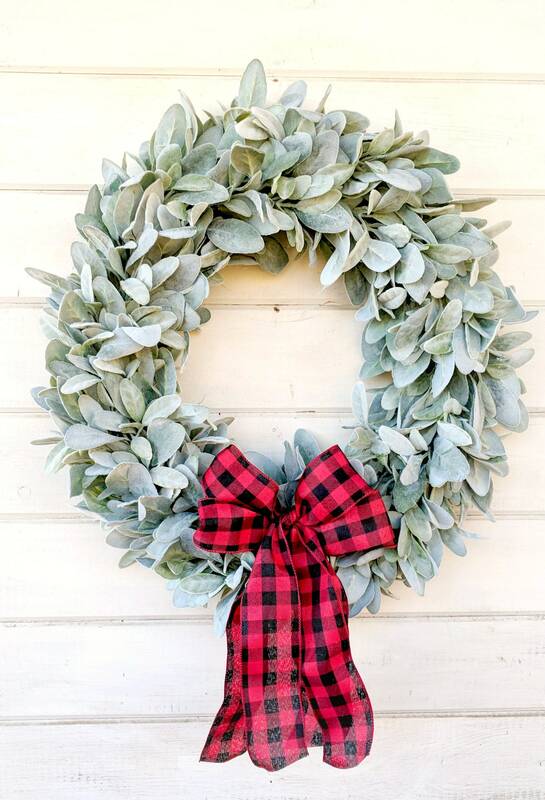 New for 2018... A Lambs Ear Wreath!! 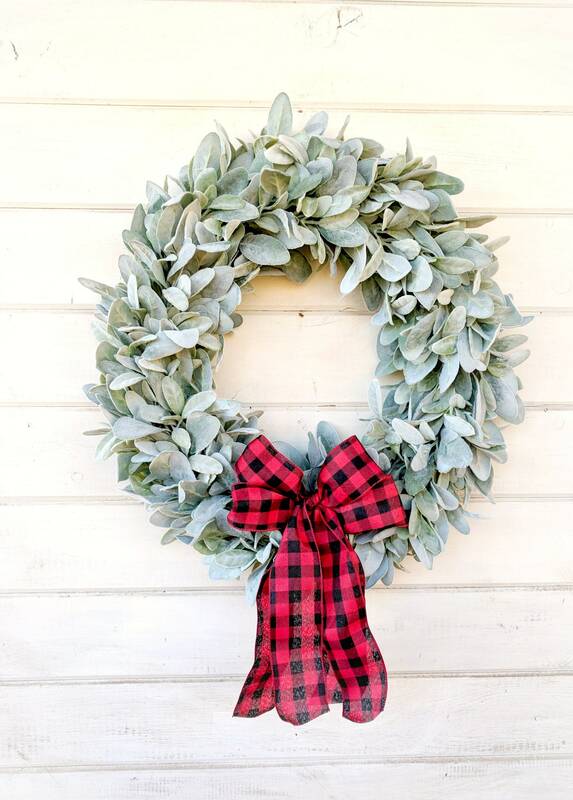 This Wreath is made of Artificial Garland... Perfect for your front door or your home decor. 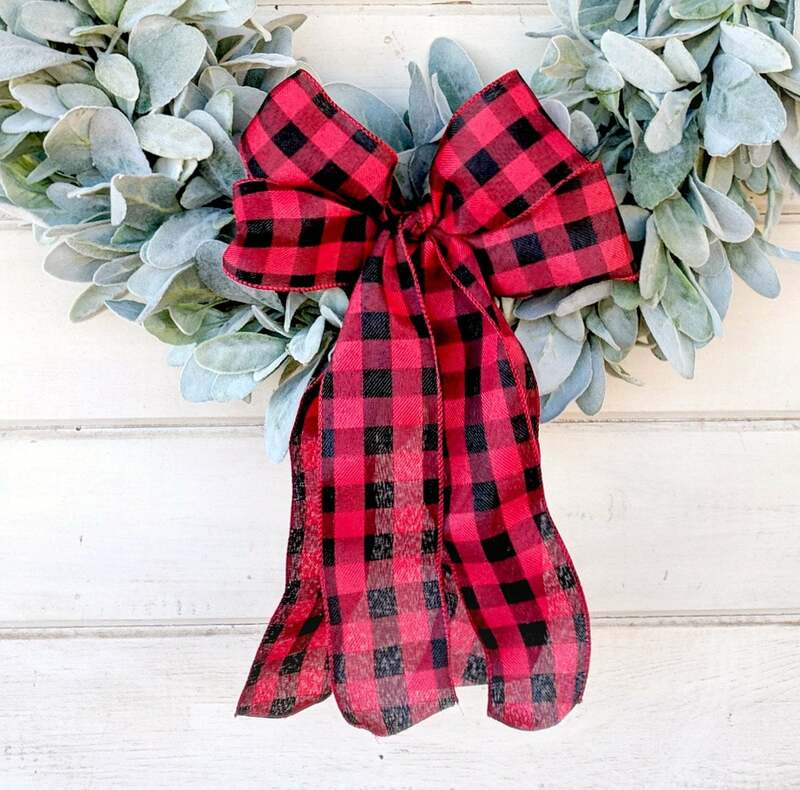 I have Buffalo RED & BLACK Plaid, Red Ticking, Black Ticking and Burlap Ribbon.